Condolences pour in for Princess Irene Thandekile Buthelezi - SABC News - Breaking news, special reports, world, business, sport coverage of all South African current events. Africa's news leader. Princess Irene Thandekile died on Monday morning. 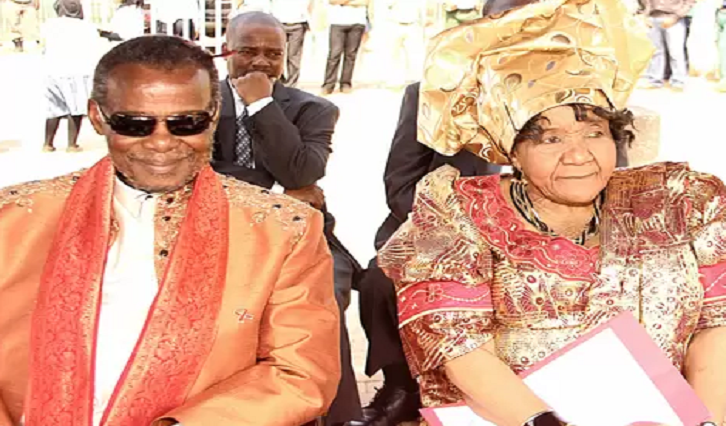 IFP leader Prince Mangosuthu Buthelezi has paid a moving tribute to his late wife Princess Irene Buthelezi. Princess Buthelezi died on Monday morning at KwaPhindangene in Emahlabathini, outside Ulundi, after a long illness. The family have requested privacy. Last year she was hospitalised for a long period, with reports that she suffered from diabetes. Buthelezi’s son Prince Zuzifa Buthelezi‚ says his mother had a big heart and dearly loved his father. The IFP has expressed sadness at the death of the wife of the party’s leader Prince Mangosuthu Buthelezi. IFP spokesperson – Mkhuleko Hlengwa – says the party regarded her as mother. KwaZulu-Natal African National Congress (ANC) spokesperson, Nomagugu Simelane-Zulu, has passed the party’s condolences on to the family of IFP leader. The Democratic Alliance (DA) in KwaZulu-Natal says it will support the Buthelezi family during this difficult time. DA provincial leader – Zwakele Mncwango praised Princess Irene for supporting the IFP leader’s political career. The National Freedom Party (NFP) has also expressed its sadness at the passing of the wife of Princess Irene. “We are saddened by the news. The National Freedom Party wishes to pass condolences to the family of Buthelezi and Buthelezi himself regarding what has just transpired. president of the National Freedom Party Zanele Kamagwaza Msibi also passes her condolences to the family and to Umntwana Uphindangene,” says NFP spokesperson, Simo Mkhwanazi. Buthelezi and Irene Thandekile MaMzila Buthelezi got married in 1952 and were blessed with eight children – five daughters and three sons. In a statement, the family says MaMzila leaves behind her husband of almost 67 years, their children – Prince Ntuthukoyezwe Zuzifa, Princess Phumzile, Princess Sibuyiselwa and grandchildren. The family says it is devastated by the loss and requested privacy as they are busy with funeral arrangements. This entry was posted on 25 Mar 2019,06:22PM at 6:22 PM and is filed under Politics, Homepage Latest Stories Slider, Homepage Featured Story Slider. You can follow any responses to this entry through the RSS 2.0 feed. Both comments and pings are currently closed.